The U.S. president wants the SEC to examine letting public companies report earnings every six months, rather than quarterly. Plenty of others, like BlackRock’s Larry Fink, had already slammed the practice. Trump’s tweeted directive should prompt some useful independent analysis. 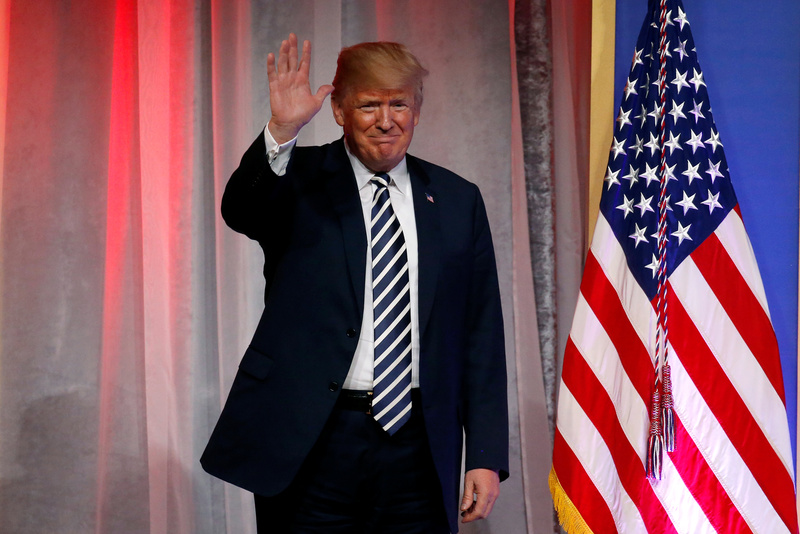 U.S. President Donald Trump waves to the crowd before delivering remarks at the National Republican Congressional Committee's annual March dinner at the National Building Museum in Washington, U.S., March 20, 2018. U.S. President Donald Trump wrote in a tweet on Aug. 17 that he has asked the U.S. Securities and Exchange Commission to study the possibility of allowing companies to report earnings every six months. Under SEC rules, public companies currently file earnings reports every three months.